Short show. I wonder if the $100K donation to the homeless foundation was Richie's salary? This isn't the usual thing is it (announcing charity donations before a concert?) I guess the donation is nice but it probably didn't make the audience feel any better. Darn it! 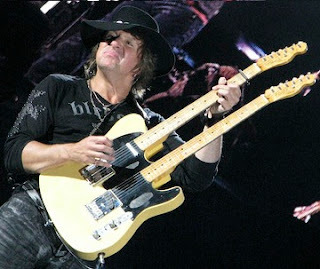 I'm seeing them on the 14th in Denver- of course our tixs are right on the Richie side! We saw Phil X too when he filled in last time. Will be good show, but just not the same. Hoping for the best for him all around. Fans, we spend our hard earned money on concert tickets, get the new album to #1, and this is how Richie repays us...uhm TWICE!